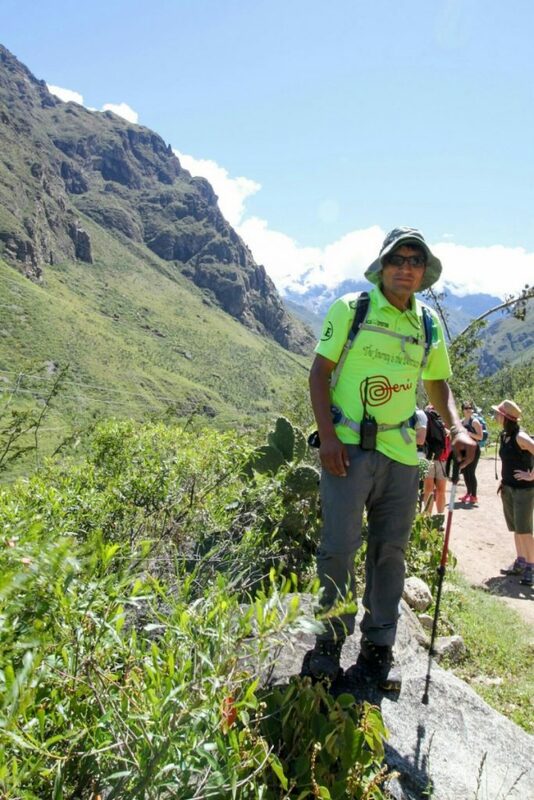 Inca Trail in the wet season: beautiful green scenery, fewer people, and just a bit of rain. First thing’s first, there is a train to Machu Picchu. 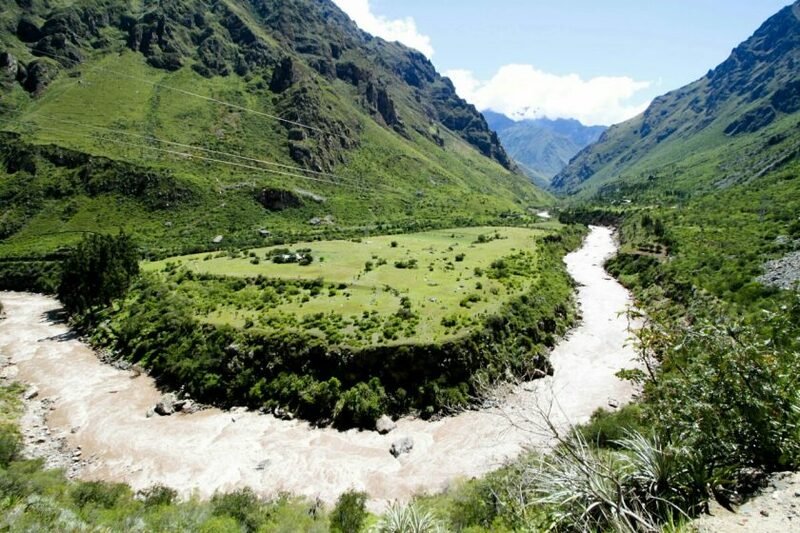 It leaves from Ollantaytanbo and will have you there in just a few hours. 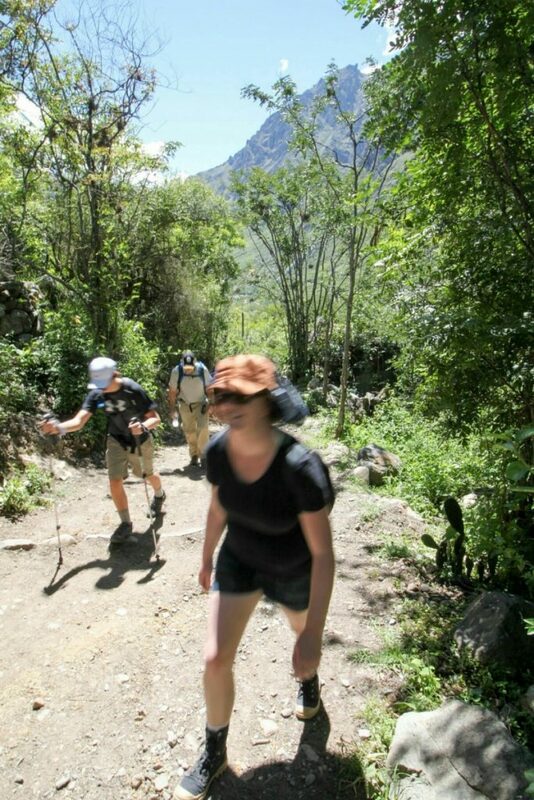 Or, you can hike the famous Inca Trail. 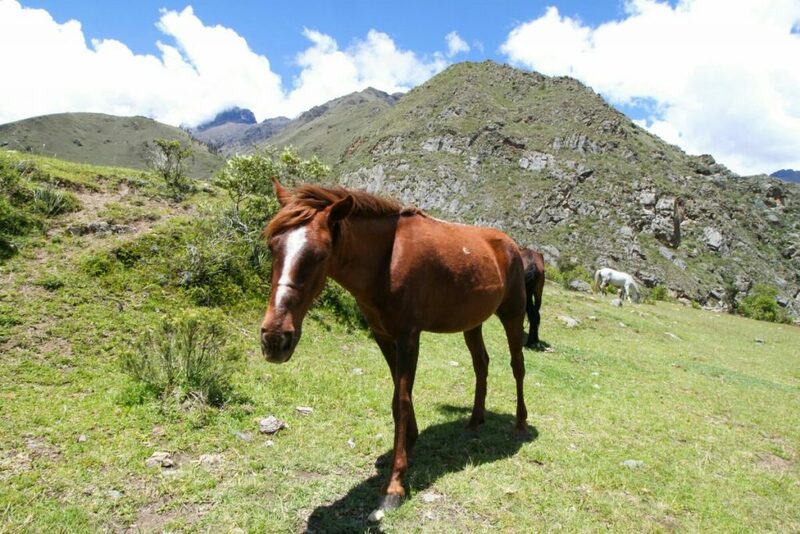 This four day hike takes you from km 82, not far out of Ollantaytanbo along the Urabamba River, over mountain passes, through cloud forest, before finally reaching Machu Picchu itself. The only downside is the 45km walk. We booked our trip through Alpaca Expeditions. The internet tells you to book at least three months in advance, because the government restricts the number of people allowed on the trail. However, early March is the low (wet) season, so we got away with six weeks. Still, having to plan around being in Cusco by a certain date jarred with our lax approach to schedules. Day one is considered a moderate day. A van picked us up from our hotel at 4:30am. We rendezvoused with the other guests and switched to a bus, then headed for Ollantaytanbo. Km 82 isn’t actually anything other than a place for buses to unload, and the checkpoint into the trail. We stopped for breakfast, while our porters unloaded all the equipment into their enormous backpacks. Look how clean we all look! 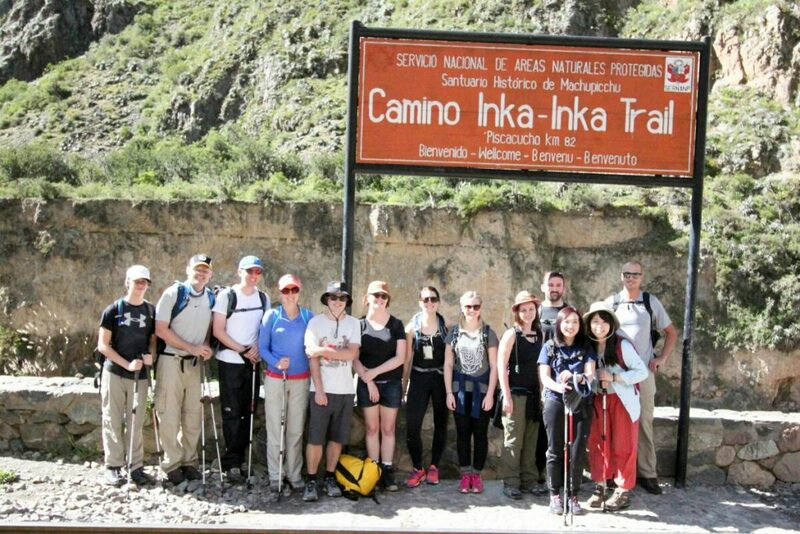 There is some contention over whether walking the Inca Trail is a responsible thing to do, mostly around the treatment of the porters. Things in the past were certainly not good, the porters had to carry looots of weight and dealt with crappy work conditions. However, recently the porters have unionised and their collective action has actually resulted in legislative change. Porters can now legally carry no more than 25kg, and there are weigh stations along the trail to enforce this. Tour companies face heavy fines for noncompliance. We also chose Alpaca because they seem to treat their porters well, with good quality equipment, wet weather gear, and hiking boots. We saw a few porters going barefoot in the rain. Alpaca also undertake social projects to help the porters’ communities. All our porters are farmers, and this is important additional income for them. What I’m getting at is I don’t think we are evil for doing this trek. Anyway, the trek. Our first day was sunny and hot. We crossed the train track into the national park and started off. 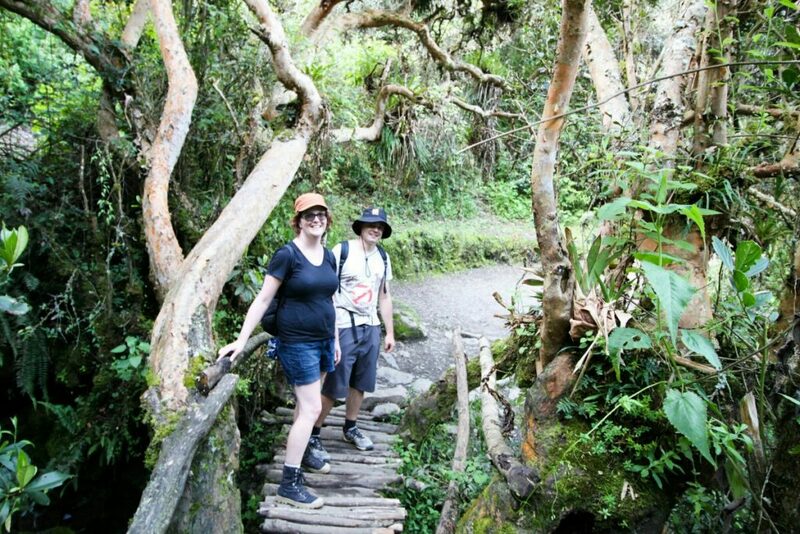 The walk was a mix of up and down, nothing too steep, through temperate scrub following the Urabamba. Our guides, Valentine and Juan, are quite entertaining, and they stopped along the way to explain things. Along this first section of the trail are homes of locals living in the national park. They sell soft drinks, chocolate, and even bottles of rum to tourists. Hugely marked up prices, but they are bringing it in by donkey. Or horse, am I right? We passed through some ruins and did some exploring. 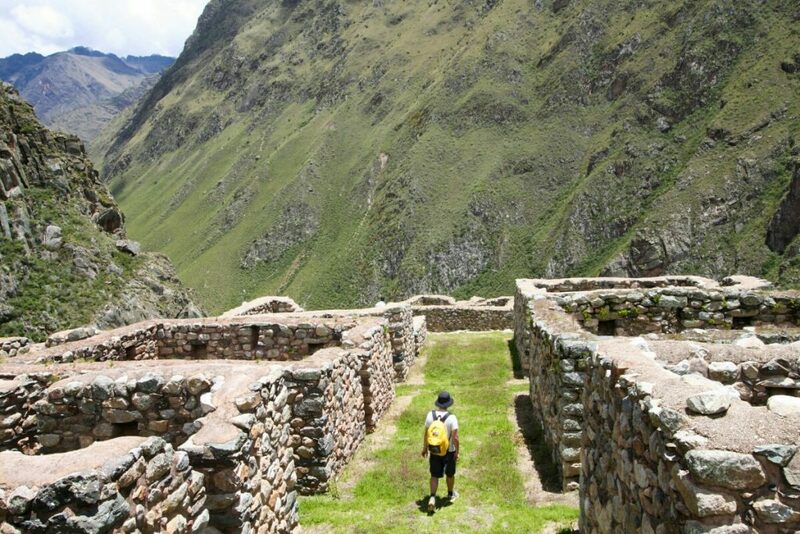 Valentine used the setting to start his history lesson on the Inca Empire and its downfall at the hands of the Spanish. We approached a couple of brick buildings that would serve as our lunch stop. As we walked in the porters all gave us a round of applause. They carried all this stuff, passed us, and prepared lunch, and they give us applause for walking. I didn’t feel we deserved it. After lunch things got steeper as we turned away from the river and into the mountain. The last hour or so was actually quite hard. We passed streams weaving their way down to the river, and arrived at our camp around 5pm. Technically, we are camping. We are sleeping in sleeping bags, in tents. However, pretty much everything is done for us. We arrive to find our tents set up and dinner being prepared. In the morning we leave the porters to pack up, then they pass us to get the next site ready. 22 porters for 16 guests and 2 guides. Trapped in the dining tent waiting for dinner, Valentine gave us another lesson, this time on Peruvian politics of the last 30 years. The whole time I was longing for Wikipedia, but it all checks out. Go read about President Fujimori’s antics for a harrowing tale. We are a pretty good group. There is one father and teenage son from the US, but the rest of the 16 are all within 5 years either side of our age. Australians, Canadians, Swiss, English and Chinese. It has a real school camp kind of atmosphere, just for 20-35 year olds. Tomorrow is the challenging day.